Though it is well established that health is influenced by both biomedical and socioeconomic factors, few studies have explored the relationship between community-level income and inpatient resource utilization for children. 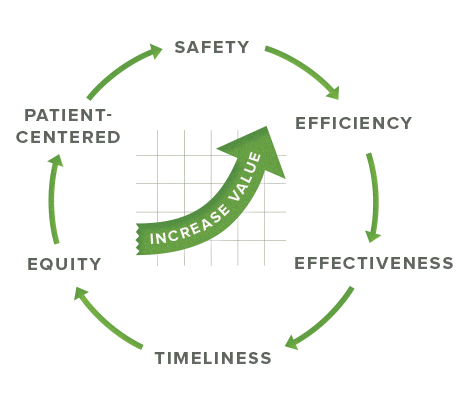 A clearer understanding of the relationship between socioeconomic status of patients and families and health care utilization is necessary in order to appropriately allocate resources to maximize quality, reduce costs, and thus promote value. Health care planners, payers, and policymakers can use this information to more accurately estimate resources needed to deliver care to patients. Similarly, health systems seeking to become Accountable Care Organizations would benefit from this information, since bearing the risk of population health management will encompass biomedical and psychosocial factors. Socioeconomic status is known to influence health and health care utilization. Since socioeconomic stressors can lead to poor health and exacerbate chronic conditions, children from lower income households often have higher health care utilization, and therefore higher health care costs. However, while the current DRG system for hospital reimbursement adjusts payments to reflect illness severity levels, it overlooks the additional costs associated with treating patients with a series of social risk factors. As a result, hospitals may not be appropriately paid for the resources deployed to care for patients from low-income households. Similarly, in a per diem reimbursement model, extra hospital days that do not meet inpatient criteria may not be reimbursed even though the extra days may be necessary to ensure safe and effective discharge for disadvantaged patients. 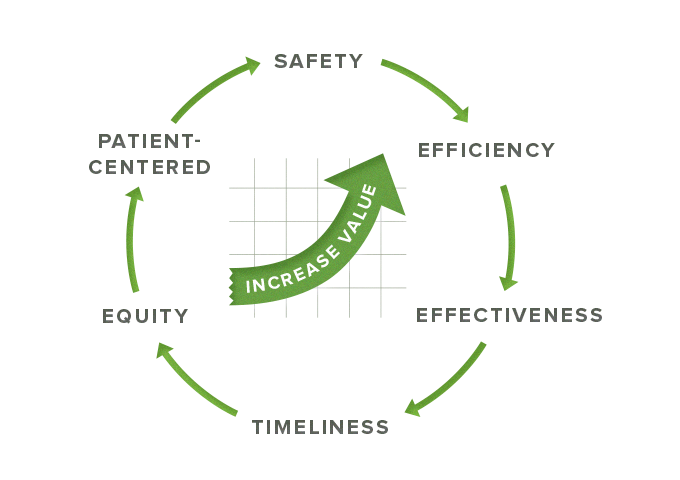 In addition to focusing on bending the cost curve down, we also need to focus on bending the value curve up by improving the safety, efficiency, effectiveness, timeliness, equity, and patient-centricity of care. To better understand the relationship between socioeconomic status, the processes of care, and outcomes, a series of studies have been conducted using an administrative database from 43 freestanding children’s hospitals called the Pediatric Health Information System (PHIS). In one study, health care utilization for children hospitalized with common medical conditions was analyzed in relation to ZIP-code-based median annual household income. After adjusting for illness severity, age, gender, and race, children from lower-income ZIP codes had higher inpatient costs for 4 of the 5 common conditions. In total, patients from the lowest-income ZIP codes had $8.4 million more in hospitalization-level standardized costs and $13.6 million more in patient-level standardized costs than children from the highest-income ZIP codes. This suggests that acute encounter-specific needs may be greater among low-income families, likely reflecting poor disease control or challenges with discharge that prolong length of stay or require additional hospital resources. Another study found that while pediatric mortality was low – and lower than expected – across all socioeconomic groups, children from the lowest-income ZIP codes did have higher rates of in-hospital mortality. Two additional studies are currently being conducted using the PHIS dataset. The first, is examining the impact of community-level household income on hospital length of stay for common conditions. Preliminary data suggests that after adjusting for other clinical factors, patients from lower-income ZIP codes have longer length of stay. The second is analyzing regional variation in the costs of inpatient care for common pediatric conditions, with the patient’s community-level income being one of many variables in the statistical models. Preliminary work is also being done locally to collect psychosocial information about patients and families in a standardized, consistent format, in real-time. This data can be used for health services research around resource utilization, and as a means to match resources to patient and family needs. This portfolio of work highlights the need to consider socioeconomic status throughout the health care value chain, including in service design, care delivery, hospital reimbursement, and in health services and policy research. Psychosocial information should be routinely collected and incorporated into the care of children. Such screening should be conducted in a systematic way and interventions directed toward addressing social disadvantage should be applied both in the medical setting and in the community. Hospital reimbursement models should also be updated to account for the added costs associated with treating patients with a series of social and economic risk factors. Specifically, reimbursement models should incorporate socioeconomic risk factors into severity equations used to determine payment levels. This should be linked with more robust mechanisms for encouraging and remunerating the effort of social workers, health educators, and care coordinators, who work to mitigate the effects of socioeconomic stressors on health outcomes. Together, this should promote greater health and well-being, which is the ultimate goal of a high-value healthcare delivery system. The Children's Hospital of Philadelphia, Policy Lab. Social Determinants of Healthcare Workload: Acknowledging Social Risk Factors in Health Care Structures and Processes to Improve Health Outcomes and Improve Value [Online]. Available at: http://www.policylab.chop.edu [Accessed: plug in date accessed here].